For my sister's birthday recently, I took her to the Museum of Sydney Cafe for high tea. 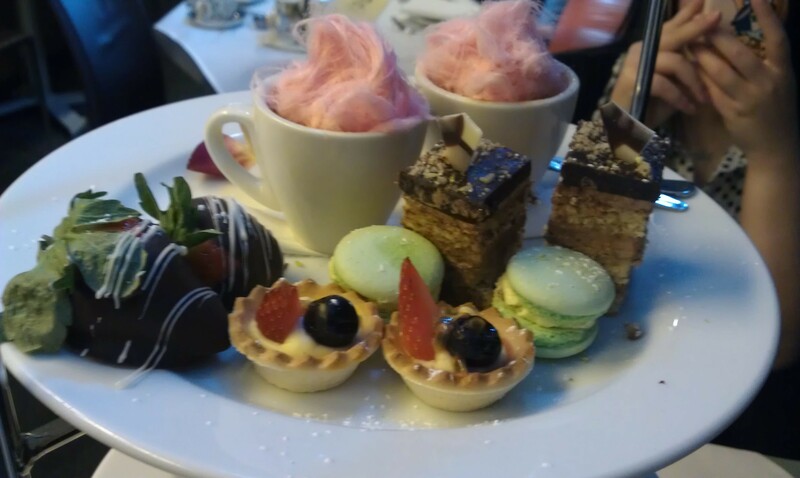 The three-tier high tea stand was filled with many delicate treats. 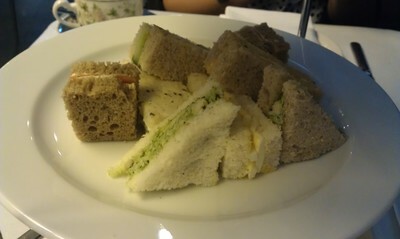 The mid-tier had scones with jam and quiches. Each person was served with two scones; one plain and one with dates. 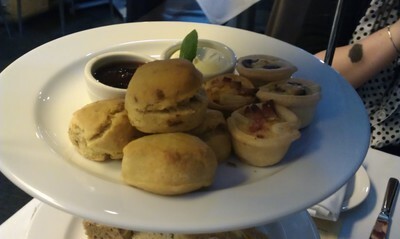 The scones were served with strawberry jam and cream. The cream was especially good. Each was also served with two baby quiches; one mushroom and the other a bacon one. - a mini cup with creme brulee with fairy floss. The chocolate dipped strawberry was a bit too rich for me but I especially liked the tiramisu slice and creme brulee. The teas on offer are from T2 loose leaves with many varieties of black tea, fruit tea and even creme brulee tea! I was sick so I had the lemongrass and ginger tea; it has a very strong but distinct taste. My sister tried the strawberry and cream tea. Each person was served tea with our own teapot. 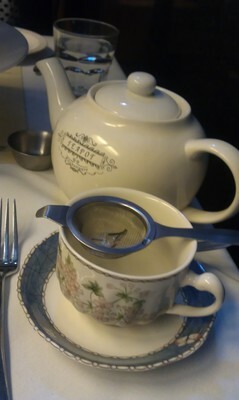 Tea was refillable. The only downside was it was a regular size small cafe so the high tea customers were seated with the other cafe customers who were having coffee or lunch. As we had high tea at lunchtime, it was slightly awkward to have high tea amongst the nearby office people who were having lunch. Despite that, it was a genuinely a beautiful experience. The food was delicious and the waitresses were all very friendly and helpful. 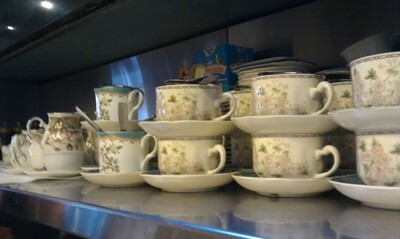 High tea is at $39 per person and booking can be easily made online. The Museum of Sydney Cafe is located within a 5 minutes walk from Circular Quay station. 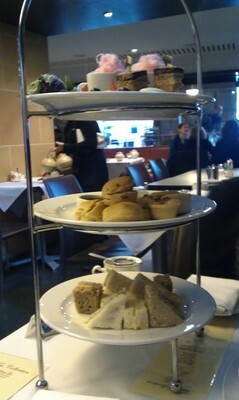 My girlfriends and I have also enjoyed a high tea at the MoS cafe but on a Sunday and it was delightfully quiet. The food was fantastic and then caught a bus almost at the door and had a good time window shopping etc up town. Thank you for the reminder, shall definitely do so again.